I seldom see two chickadees on the feeder at one time. 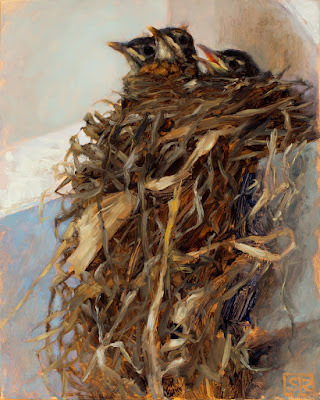 They typically swoop in and out individually, in an established order. Lately, I've spotted two birds seemingly surprised to encounter each other. Maybe they're still working out the social hierarchy. 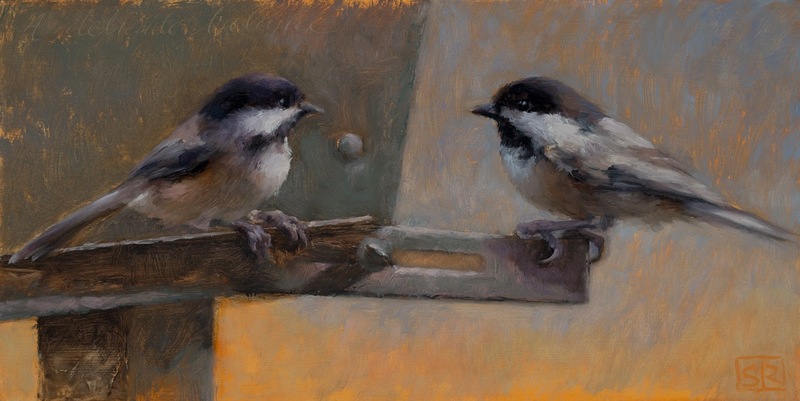 A delicate Balance, two black-capped chickadees, oil on panel, 6" x 12"